Product Description: The Chinese title for this entertaining romantic drama is "Destiny," which is fitting because it features remarkable new talent whose destiny was to become some of Hong Kong's most important filmmakers. There's then 20-year-old Miss Hong Kong pageant first runner-up Maggie Cheung. 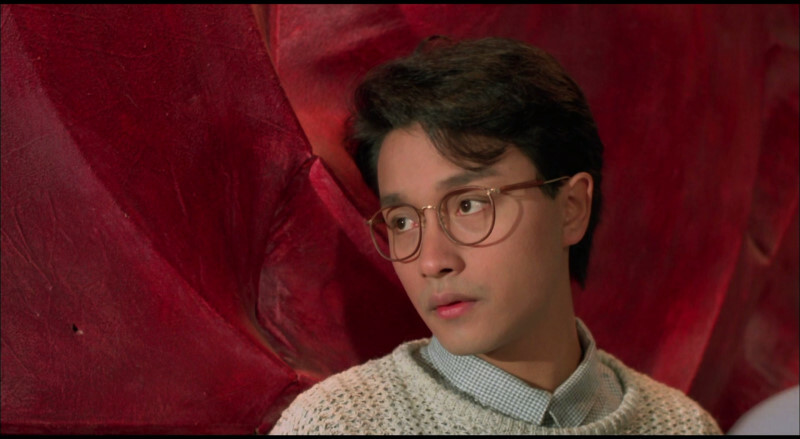 There's Leslie Cheung, before he became an award-winning singer/actor icon. There's Anita Mui, who won the Hong Kong Film Best Supporting Actress Award for her performance. And there's co-scripter Gordon Chan, Destined to become a top writer/director. 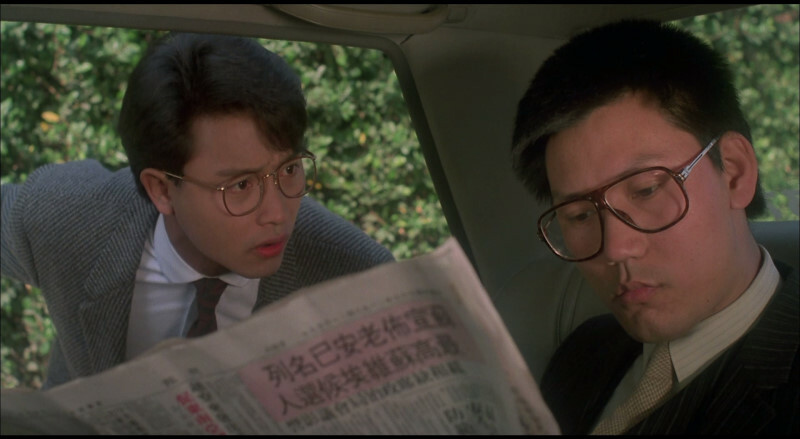 Directed by Taylor Wong (The Three Swordsmen), wistful 1984 romance Behind the Yellow Line is an early and memorable effort from Hong Kong superstars Leslie Cheung, Maggie Cheung, and Anita Mui. 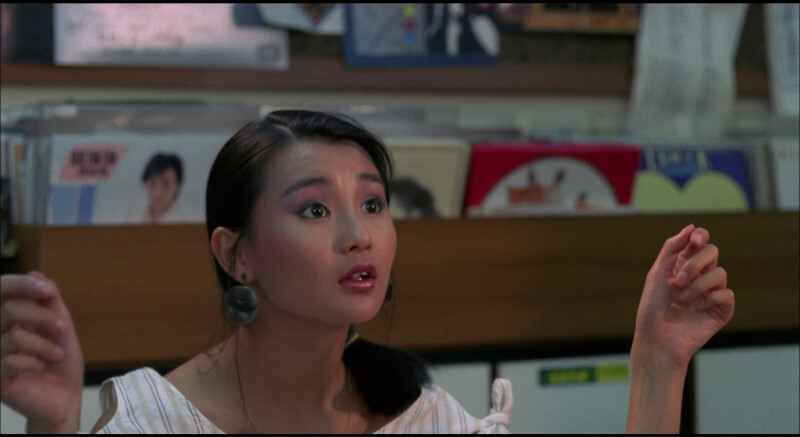 Only in their early 20s, Maggie Cheung and Anita Mui, who won Best Supporting Actress at the 4th Hong Kong Film Awards for her performance, were both newcomers at the time, and this film was an important stepping stone in their career. 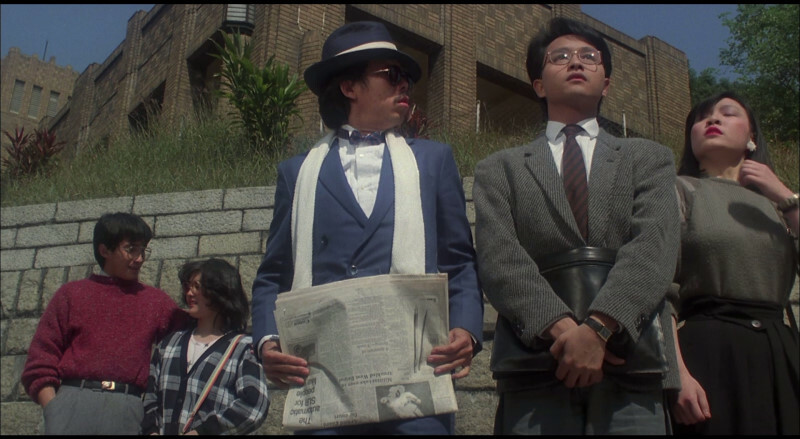 A gentle and photogenic drama about young love, chance encounters, and uncertain fate, Behind the Yellow Line is typical of 1980s romances in narrative and style, but it stands out as an affecting time capsule, capturing three of Hong Kong's greatest and most-loved stars at the prime of their youth. 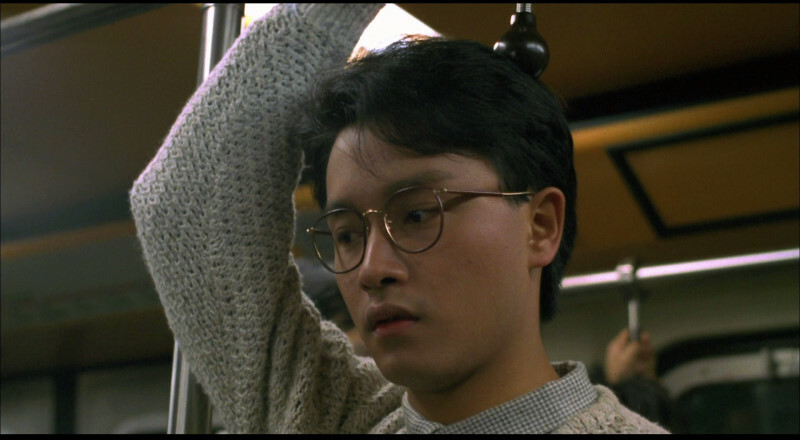 On the way to his first day of work, young civil servant Paul (Leslie Cheung) encounters two very different women on the subway: girl-next-door Monica (Maggie Cheung) who recently ended a painful affair with a married man and the sassy and wealthy Anita (Anita Mui) who takes an immediate liking to Paul. Crossing paths everyday during their subway commute, Paul and Monica take the gradual steps from strangers to lovers. Anita, however, isn't about to give up on Paul so easily, and Monica wavers in the face of overtures from her ex-boyfriend, putting the young lovers' relationship on the rocks. Video: NOTE: The below Blu-ray captures were ripped directly from the Blu-ray disc. Even though the film is almost 25 years old, the image quality never approaches what we consider the heights of 1080P transfers. Colors and detail are superior to most SD, and we are sure the SD editions of this particular film, but it is not especially bright or sharp comparatively speaking against most other Blu-rays we have covered. 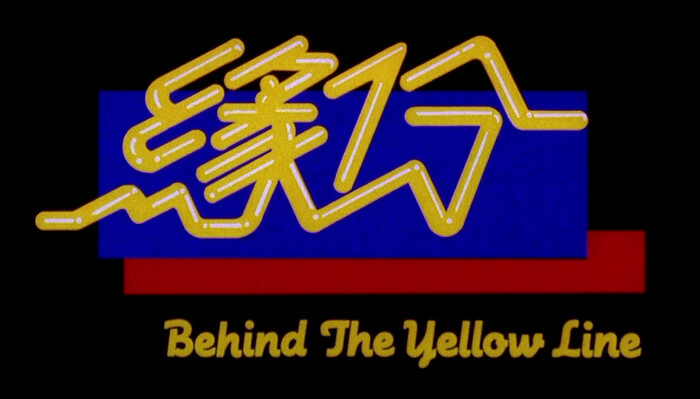 Friends know I am a huge Maggie Chueng fan and I really wanted to see her in 1080P - coincidentally this is her first film and the iconic co-stars Leslie Cheung and Anita Mui also added desirability to view Behind the Yellow Line in it is best possible home theater representation. This Blu-ray disc was released on April 1st, 2008 - the fifth anniversary of Leslie Cheung's suicide. Anita Mui passed away from cervical cancer December 30th, 2003. The image is clean and smooth - no real complaints excepting it's lack of depth and fairly passive contrast levels. It may be the best this film can look, but as for 'Blu-ray' - it appears quite mediocre. Extras: Nothing but a trailer. Soma may have anticipated some form of featurette or discussion about the stars but alas, nothing is to be found. A bare bones Blu-ray sounds like a rarity - but it's true. BOTTOM LINE: No doubt this will appeal more to fans of the the two Cheungs and Mui than those looking for a demo disc for their home theater. It's a pleasant little romance film with some humor... but certainly nothing of any depth. I was curious to see these early performances - that was my attraction... and Maggie's glow has never let me down yet. Interesting to see from a historical standpoint of Hong Kong cinema evolution but even that might be stretching the point. It's just a cute film, with some eventual huge names, in the best image representation presently available. Only you can judge how much you'd be interested in obtaining this on Blu-ray. I can't honestly say I recommend at the current price. Introduction: Hello, fellow Beavers! I have been interested in film since I viewed a Chaplin festival on PBS when I was around 9 years old. I credit DVD with expanding my horizons to fill an almost ravenous desire to seek out new film experiences. I currently own approximately 5600 DVDs and have reviewed over 3000 myself. I appreciate my discussion Listserv for furthering my film education and inspiring me to continue running DVDBeaver. Plus a healthy thanks to those who donate and use our Amazon links.